From the moment you put your hand on our front door to come inside The Gables will begin to unveil its charm. 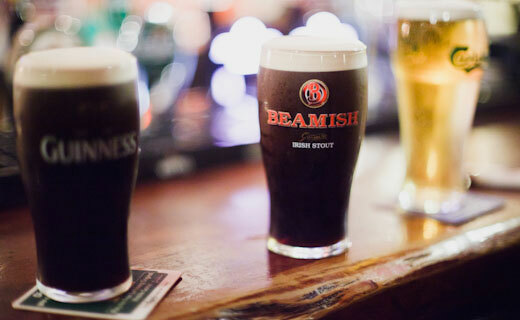 The bouncing knees and tapping feet beat like the bar's heart beat while the taps gentle hiss the birth of a new pair of pints - born into to a world of music that resonates a thousand years or more. Fáilte go dtí na Gables. Tá tú sa bhaile anois. Jack Ahern is no stranger to the live music scene in Cork with over 7 years of solid experience playing many different musical genres, in and out of many different bands and line ups. His influences include Rory Gallagher (which he frequently pays tribute to in his live sets), The Beatles, Thin Lizzy and Radiohead. He also has been composing music for as long as he has been playing it, his music has been described by Morrissey of the Smiths as "Simply Brilliant". Jack is constantly trying to move forward with sound and style he is well worth a listen. Catch him in The Gables on Douglas St. where he plays a subdued set of acoustic music including music of his own and covers of others. 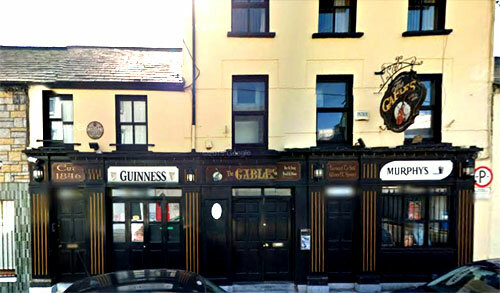 The Gables is home to the "Trad Session" for over 30 years. The session has been visited by travelling musicians from far and wide with many diverse cultures. They have been tutored in all forms of music, classical, jazz, folk and blues but in some way all are drawn to the allure of traditional Irish music. They are drawn to the allure of the session. The way in which a group of musicians can gather, some having met only for the first time, pick a set of random tunes and yet all know exactly when to start, change and stop, all in perfect unison. Yes the phenomena of the musical gathering that it 'the session'. SoundDog are an acoustic two piece act made up of singer-songwriters Brian Lalor and Christine B Phelan with a varied body of material resulting in an energy fuelled live show. Their set consists of a collection of original songs, unique covers and folky duets. Expect to hear everything from traditional home-grown ballads to Nashville duets through uplifting medleys and bluesy numbers along with a few simple twists to familiar classics. Both musicians are accomplished recording artists with over a decade of experience each in the music industry supporting prestigious acts such as Sharon Shannon and touring with their own show nationwide.